Today, Associated Students Sustainability and Recycling has expanded its reach to recycling throughout campus with prospects of recycling programs in CSUN Housing. CSUN is the first CSU campus to build a LEED Platinum Sustainability Center that serves as focal point for zero waste initiatives. However, CSUN was not always at the forefront of the sustainability charge. In fact, it was far behind compared to the other CSU campuses. From its humble beginnings, A.S. Sustainability and Recycling began as a student recycling committee put forth by CSUN officials and Associated Students Leadership. To head the recycling committee, Cyndi Signett was selected as the coordinator in 1991. Signett was a recent CSUN graduate who had transferred to CSUN just two years prior. As a geography major, she always had an interest in the health of the environment. Her passion for sustainability and recycling helped nurture and nourish the program to its current standings. Throughout her 26 years with the department, she established three different programs that specialize in different aspects of sustainability and recycling. 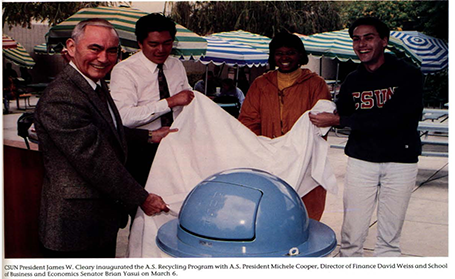 The first program, known as Recycling Operations, began with the placement of bins on campus in March of 1991. The program now provides service to locations all over campus and collect a variety of recyclables, such as bottles and cans, cardboard, and e-waste. With the placement of recycling containers along with the campus’ strive for sustainability, a need to educate the students and the community arose. This need to educate and inform students created a foundation for the Education and Outreach program. The program’s objective is to provide resources and educational tools to students through events. 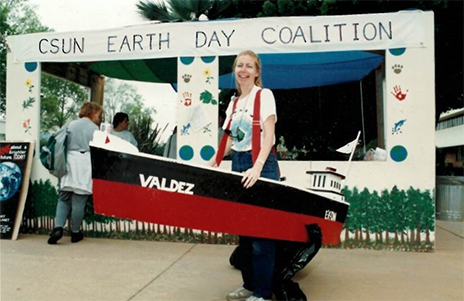 The first facilitated event was the Earth Day Coalition in 1991, which later became Earth Fair. Other notable events held by this program include America Recycles Day and Recyclemania. The third program, known as the Sustainable Office Program, focuses on faculty and academic departments. The Sustainable Office Program evaluates a variety offices and compose recommendations on how to be more sustainable. Recommendations include switching to 100% recycled content paper and purchasing items with a Green Seal. 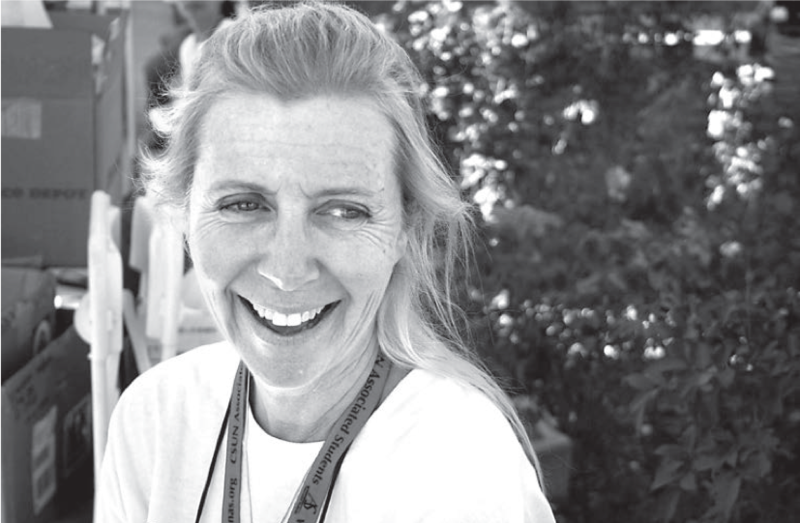 Today, Cynthia Signett’s legacy continues to be a driving force in the program’s sustainable efforts. Without her inspiring commitment and service to the program, Associated Students Sustainability and Recycling would not be where it is currently. So thank you Cynthia Signett and all those who made this program possible.